Pilates If practiced with consistency, improves flexibility, builds strength and develops control and endurance in the entire body. It puts emphasis on alignment, breathing, developing a strong core, and improving coordination and balance. The core, consisting of the muscles of the abdomen, low back, and hips, is often called the "powerhouse" and is thought to be the key to a person's stability. Pilates allows for different exercises to be modified in range of difficulty from beginner to advanced or to any other level, and also in terms of the instructor and practitioner's specific goals and/or limitations. Intensity can be increased over time as the body conditions and adapts to the exercises. Pilates is particularly good for dealing with injury and can be adapted to suit your individual needs. 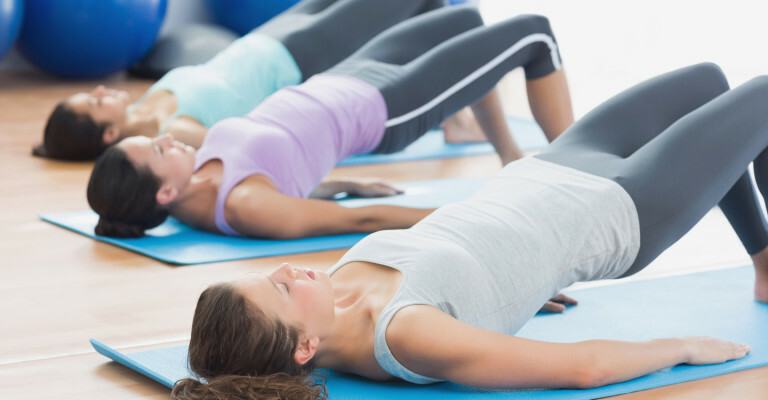 Pilates strengthens the small, stabilising muscles that hold your joints together. Chiropractors often recommend Pilates as one facet of a recovery program due to its ability to enable its users to manage their injuries while improving strength and aiding in a number of other health benefits such as weight loss, muscle tone and flexibility.